WASHINGTON ― A group of prominent former national security officials have sent a letter to members of Congress asking that Capitol Hill not fund a major defense priority of the Trump administration: the creation of new low-yield nuclear warheads. 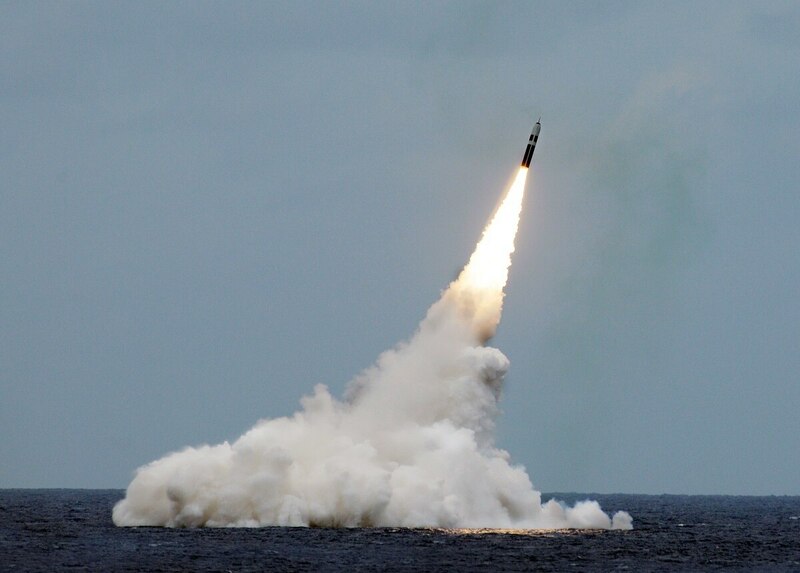 The Pentagon’s Nuclear Posture Review, released in February, called for the creation of two new nuclear designs – a low-yield variant of the W76 nuclear warhead, launched from the Trident II missiles aboard America’s nuclear submarines, as well as a potential new sea-launched nuclear cruise missile. The letter targets the W76-2 variant, which the administration hopes to see funded starting in fiscal 2019. The systems are supposed to deter Russia from using its own arsenal of low-yield nuclear weapons, an argument the authors of the letter do not support. The Trump administration is developing a new tactical nuclear weapon, and Democrats are fighting it. Here’s why. 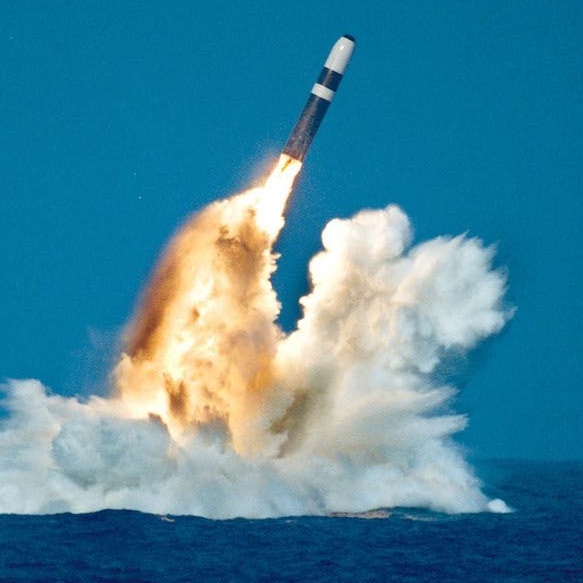 “Ultimately, the greatest concern about the proposed low-yield Trident warhead is that the president might feel less restrained about using it in a crisis. When it comes to using a nuclear weapon, restraint is a good thing,” the 32 authors write. Among the signees of the letter are William Perry, the former defense secretary turned nonproliferation advocate; George P. Shultz, Ronald Reagan’s secretary of state; Ret. Gen. James Cartwright, the former vice chairman of the joint chiefs of staff; and Ret. Lt. Gen, Robert Gard, who used to lead National Defense University. It is also signed by Jerry Brown, the sitting governor of California. The senior senator from California, Diane Feinstein, has been a skeptic of nuclear modernization in recent years, including during the Obama administration. 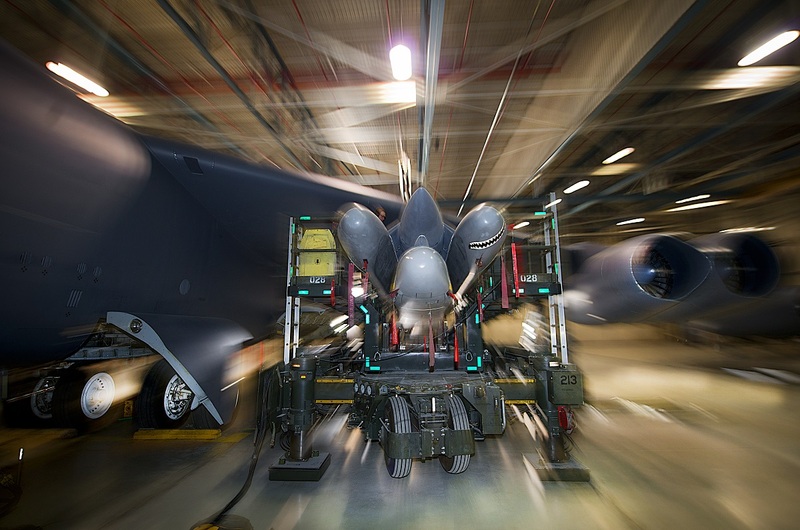 When is a nuclear weapon tactical, and when is it strategic? It’s pretty cut and dry for Defense Secretary Jim Mattis. Notably, as the letter is targeted specifically at the Hill, several former members of Congress are also signed on. Those include Richard Lugar, the former chairman of the Senate Foreign Relations Committee; Byron Dorgan, former chairman of the Energy & Water development Appropriations Subcommittee; Gary Hart and Mark Udall, two former Senate Armed Services Committee members; Barney Frank, the longtime Massachusetts representative; and John Tierney, former Chairman of the House Oversight national security subcommittee. The letter comes as Democrats have launched an attack on the W76-2, with procedural attempts to strip its funding from defense and energy bills. However, the Republican majority has successfully defended that funding so far. New measurements at the Indian Point nuclear power plant in upstate New York show levels of radioactive tritium 80 percent higher than reported last week. Plant operator insists the spill is not dangerous, as state officials call for a safety probe. “Even with the new readings, there is no impact to public health or safety, and although these values remain less than one-tenth of one percent of federal reporting guidelines,” Entergy said in a statement. New York governor Andrew Cuomo raised an alarm last Saturday over the reports of groundwater contamination at Indian Point, noting that the company reported “alarming levels of radioactivity” at three monitoring wells, with “radioactivity increasing nearly 65,000 percent” at one of them. The groundwater wells have no contact with any drinking water supplies, and the spill will dissipate before it reaches the Hudson River, a senior Entergy executive argued Tuesday, suggesting the increased state scrutiny was driven by the company’s decision to shut down another nuclear power plant. “There are a number of stakeholders, including the governor, who do not like the fact that we are having to close Fitzpatrick,” Michael Twomey, Entergy’s vice president of external affairs, said during an appearance on ‘The Capitol Pressroom,’ a show on WCNY public radio. The James A. Fitzpatrick plant is located on the southern shore of Lake Ontario, near Oswego, New York. Entergy said it intended to close the plant once it runs out of fuel sometime this year, citing its continued operations as unprofitable. “We’re not satisfied with this event. This was not up to our expectations,” Twomey said, adding that the Indian Point spill should be seen in context. Though it has never reported a reactor problem, the Indian Point facility has been plagued by issues with transformers, cooling systems, and other electrical components over the years. It currently operates two reactors, both brought on-line in the 1970s. In December, the federal Nuclear Regulatory Commission allowed Entergy to continue operating the reactors, pending license renewal. The facility’s initial 40-year license was set to expire on December 12, but the regulators are reportedly leaning towards recommending a 20-year extension. By contrast, Reactor 4 at the Chernobyl Nuclear Power Plant in Pripyat, Ukraine was only three years old when it exploded in April 1986. To this day, an area of 1000 square miles around the power plant remains the “exclusion zone,” where human habitation is prohibited. 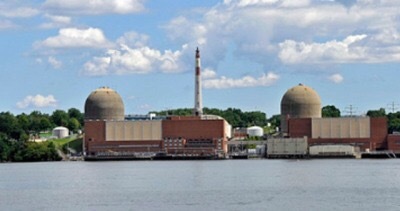 The tritium leak at Indian Point most likely took place in January, during the preparations to shut down Reactor 2 for refueling, according to Entergy. Water containing high levels of the hydrogen isotope reportedly overfilled the drains and spilled into the ground. According to Entergy, tritium is a “low hazard radionuclide” because it emits low-energy beta particles, which do not penetrate the skin. “People could be harmed by tritium only through internal exposure caused by drinking water with high levels of tritium over many years,” an Entergy fact sheet says. Environmentalist critics are not convinced, however. Iran may have been advancing its ballistic missile capabilities in a remote desert site in the country’s northeast, according to a group of US-based academics. Weapons researchers from the Middlebury Institute of International Studies in California identified a previously unknown testing site while reviewing recent Iranian state TV broadcasts. They then analysed satellite imagery of the facility, unearthing evidence that the site may be actively used for researching rocket designs, The New York Times reported Wednesday. Although developing long-range missiles would not violate existing international agreements, it will likely draw the ire of the United States, and could discourage the EU from working towards a new nuclear deal, following the Trump administration’s exit from the 2015 agreement. Iran’s missile programme – and its stock of such weaponry – is controlled by its Revolutionary Guard, which operates outside the authority of the government, answering directly to the country’s Supreme Leader, Ayatollah Ali Khamenei. When researchers initially identified the site, near Shahrud, northeast of Tehran, they believed it had only been used for a single missile test in 2013, as the Iranian authorities claimed. But when they examined images of the site over time, they noticed that the number of structures gradually increased, the Times reported. They also noticed ground scars, indicative of missile exhaust blasts, a sign of final-stage testing of ballistics. Between 2016 and 2017, the researchers also saw two craters appear in the satellite imagery a few kilometres away from the site, which they identified as a further sign of missile tests. The Iranians, the researchers believed, had kept their research secret by working at night. The Iranian regime denies they are developing long range ballistic missiles. Tehran has been under sanctions imposed by UN resolution 2231, which called on the Islamic republic to refrain from ballistic missile activities including their development or testing. Mr Khamenei, who as supreme leader has been Iran’s ultimate authority since 1989, maintains his country is entitled to develop ballistic capabilities for self-defence. Military officials, however, have said that they will not develop missiles with a range exceeding 2,000 km. The new research could contradict that. The report said analysis of the imagery suggests Iran may be developing long-range missile technology, beyond 2,000 km. Iran already possesses medium-range missiles capable of striking much of the Middle East, including Israel and many US bases. The new research will be seized upon by supporters of US President Donald Trump. Having pulled out of the nuclear deal early this month, his government has since imposed new sanctions on Iran. One of Mr Trump’s main criticisms of the agreement was that it it failed to address Iran’s ballistic missile capabilities. While the report acknowledged that the evidence about long-range missiles was inconclusive, the researchers said recent moves by the Iranian regime could validate their theory, while Mr Trump’s exit from the nuclear deal could embolden the government in Tehran to further develop its missile programme. According to Jeffrey Lewis, who led the research team, Iran may have have been limiting its weapons research up to now. By Conn Hallinan, May 23, 2018. Maybe Trump really thinks sanctions will produce a „better“ Iran deal. More likely, they’re designed to justify conflict. The question is: Has the Trump administration already made a decision to go to war with Iran, similar to the determination of the Bush administration to invade Iraq in the aftermath of the 9/11 attacks? Whoever forms Iraq’s next government will run the country according to the vision of the rising political leader, Moqtada Al Sadr. Leading his new Sa’iroon (March On) alliance, the young Shiite politician has already gained the title of ‘King Maker’ not because his alliance has won most seats in the new Council of Representatives (Parliament), but for the courage and vision he has shown during the election campaign. Some of world affairs watchers began to liken his movement to that of President Emanuel Macron’s French La Republique En Marche party. However, as the final election’s results are fully declared, the task ahead for Al Sadr is intrinsically colossal. The most strenuous obstacle he’ll be facing is to overcome the direct Iranian interference in running Iraq’s government. Before the election, Tehran had publicly announced it would not allow Al Sadr’s alliance to govern. Just as the counting of ballot boxes concluded, the commander of foreign operations of Iran’s elite Islamic Revolutionary Guard Corps (IRGC), General Qasim Sulaimani, was holding talks with politicians in Baghdad to ensure that any new cabinet must enjoy Iran’s consent. Sulaimani is a highly influential figure in Iraq and Tehran has become the de facto authority in the country after the power vacuum created by Barack Obama administration’s decision to pull out from Iraq almost eight years ago. Immediately after the election results were announced, Al Sadr tweeted: “Reform is victorious, and corruption is diminishing.” Many have interpreted the tweet as an indirect message the increasingly confident Al Sadr, to the Iranians and their Iraqi protegees. Though Al Sadr is not expected to get involved into confrontation with the Iranians in his country, he is likely to play a balancing role in shaping up politics in Iraq for the next four years. He surely understands how vital Iraq is for the success of Iran’s enterprise in the region. Many believe that Iraq is, for Iran’s regional strategy, much more important than Syria, Lebanon or Yemen is. Al Sadr himself cannot become prime minister as he did not run in the election, but his bloc’s victory puts him in a position to have a strong say in negotiations during the next three months. His alliance came first in the election as it captured 54 of the parliamentary 329 seats. This is 20 more seats than what the alliance had in 2014 election. the newly established Fatah bloc led by Hadi Al Amiri, well known for his close ties with Iran and personal loyalty to Sulaimani, came second with 47 seats. Al Amiri is the leader of the powerful Iran-backed “Popular Mobilisation Forces” (PMF), the largest militia in Iraq after the country’s national army. PMF is structured along Iran’s IRGC militia. The incumbent prime minister, Haidar Al Abadi’s Nasr (Victory) coalition, took third place with 42 seats. The biggest loser in the election was Iran’s staunchest ally former prime minister, Nouri Al Maliki, whose “State of Law” coalition’s representation in the new parliament fell from 92 to 25 seats. The fifth Shiite group is the National Wisdom Movement (Al Hikma) led by Imam Ammar Al Hakim, won 19 seats, down from 29 in last election. The non-sectarian list Al Wataniya (Nationalist), led by former prime minister, Eyad Allawi kept its 19-seat share in the new parliament. The two main Kurdish groups, Kurdistan Democratic Party (KDP) and Patriotic Union of Kurdistan Party (PUK), won 25 and 18 seats successively. The Sunni region political group “Muttahidoon” (Uniters) alliance led by Usama Al Nujayfi, won 14 seats down from 19. Constitutionally, Iraq premiership goes to the Shiites, the Sunnis get the speaker post and the presidency goes to the Kurds. Iraq’s election could be a turning point for the country after 15 years of continuous state stagnation. Al Sadr success is a fresh air in Iraq’s political arena which might provide the necessary conditions to improve the performance of the country’s government. But Al Sadr, who established his leadership after leading two violent uprisings against US troops, was clearly side lined for years by Iranian-backed rivals. That is why his latest success in the election is considered a challenge against his powerful Shiite opponents who have been in the seat of government for long time and who have been accused by large section of Iraqis — including Al Sadr himself — of widespread corruption. Al Sadr’s bloc, an unorthodox one of communists and secular individuals — including a Kurd candidate from Masoud Barzani’s KDP who ran in his list- made its ferocious opposition to any foreign intervention in Iraq clear, be it from Tehran or Washington. However, post-election reality would make Al Sadr task acutely difficult. He has not only led a fierce campaign against the ruling elites, but he uniquely presented himself as an independent politician in contradiction with the country’s Shiite populace. He was openly critical of Iran’s role in Iraq’s politics, he called on Syria’s president, Bashar Al Assad to step down and he was meeting senior officials in Riyadh and Abu Dhabi when their confrontation with Tehran in Yemen was at its peak. Al Sadr is now facing an unprecedented situation where he may find himself in charge of deciding who would become the next prime minister in Iraq. The new prime minister would not be from Al Sadr list nor his alliance as the premiership position is mostly decided by the other Shiite groups of which Al Sadr’s is not a part. But this time round, Al Sadr as a winner in the election, is likely to use his input in naming the next prime minister. Al Abadi is so far the candidate to fill this position, but he is expected to be a ‘different Al Abadi’ from the Al Abadi who had governed the country during the last four years, i.e. less Iranian and more open to the rest of Iraq’s neighbours. Like all leaders of the Shiite parliamentarian groups, Al Sadr is not necessarily anti-Iran, but he is comparatively a pragmatic leader who succeeded in forming a wide-ranging alliance based on the understanding that Iraq’s national interests come first. If he can maintain this vision he may keep Iran at arm’s length.